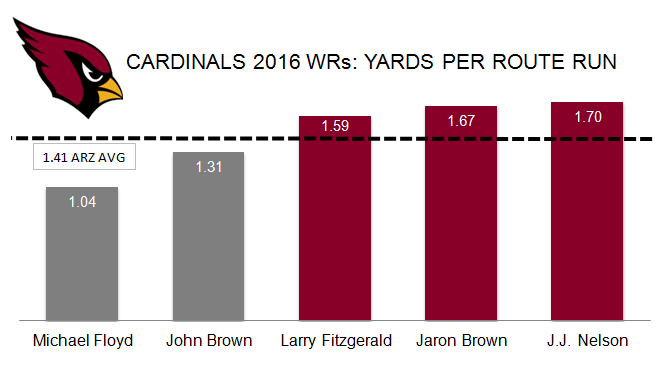 While Brown’s 51.9 WR rating from 2016 was surprisingly low, it was based on 24 targets that included two Carson Palmer interceptions. In the previous three years combined, Brown had a 93.45 WR rating. Brown averaged 1.67 yards per route ran last year with 187 yards on 112 receiving routes. Michael Floyd’s release represents 427 routes from 2016, which leaves a healthy 21 percent market share of routes available in 2017.